As reported, Becky Lynch was invited back to Raw this week by The McMahons and the encounter didn’t disappoint. To say it was an eventful episode would be an understatement. Becky was coming to respond to the McMahons’s ultimatum or she would remain suspended. The audience quickly found out Lynch saw her own doctor sometime last week, who agreed with WWE’s doctors that she is cleared to wrestle at WrestleMania after a short rehab. Stephanie and Triple H lifted the suspension and approved the match, but under one condition. The two demanded an apology, which played out for the entire episode when The Man reluctantly complied. Becky Lynch vs. Ronda Rousey looked to be back on. When in fact, Vince McMahon hadn’t had his say. The CEO appeared at the top of the ramp and unceremoniously suspended Lynch for 60 days, which will put her out of action almost a week after WrestleMania ends. 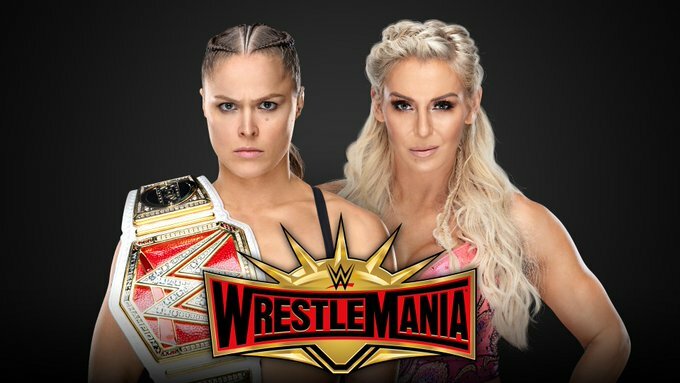 Then, Vince announced that Charlotte Flair will now face RAW Women’s Champion Ronda Rousey at WrestleMania 35 and Raw went off the air with him raising Flair’s arm to a stunned crowd. This certainly won’t be the end of Becky Lynch’s storyline, but what will happen next? Stay tuned for more developments on the Raw Women’s Championship and the upcoming WrestleMania main event. Comment on these new developments below.